You must have a doctor’s certification to obtain medical marijuana. It is necessary that a physician who is registered with the PA Department of Health Medical Marijuana Program conduct an in-person examination and review of your health records. Go to pa.gov online to begin the registration process and find doctors who are able to certify you. The site contains the list of physicians registered with the Department of Health who can recommend medical marijuana. If you are under 18 years of age, or you are homebound, a caregiver will need to register on your behalf. You should be diagnosed with one of 17 qualified serious medical conditions as certified by a health care professional. Once the physician recommends medical marijuana for your qualified condition, you will get the certification. Patient certification must be renewed on a frequency that the doctor recommends. After obtaining physician certification, complete the online registration by paying for a medical marijuana ID card. There are some important factors to keep in mind. There is a $50 processing fee for the ID card. Individuals participating in Medicaid, PACE/PACENET, CHIP, SNAP and WIC may qualify for a discounted processing fee. The PA Department of Health will send patients their medical marijuana ID card. 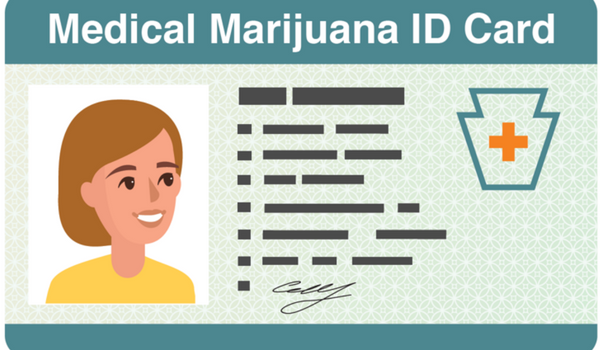 You or your caregiver should then take your medical marijuana id card to a licensed PA Department of Health-approved medical marijuana dispensary location in Pennsylvania. You must obtain medical marijuana at a PA Department of Health-regulated dispensary. If you are over 18 years old and homebound, you will need to designate a caregiver to pick up your medical marijuana: the caregiver must be at least 21 years old. We’ve also put together this two page guide for easy reference. You can follow us on Facebook for the latest updates and you can schedule a future appointment here.